Cauliflower and cucumber rice (carb-free rice!) 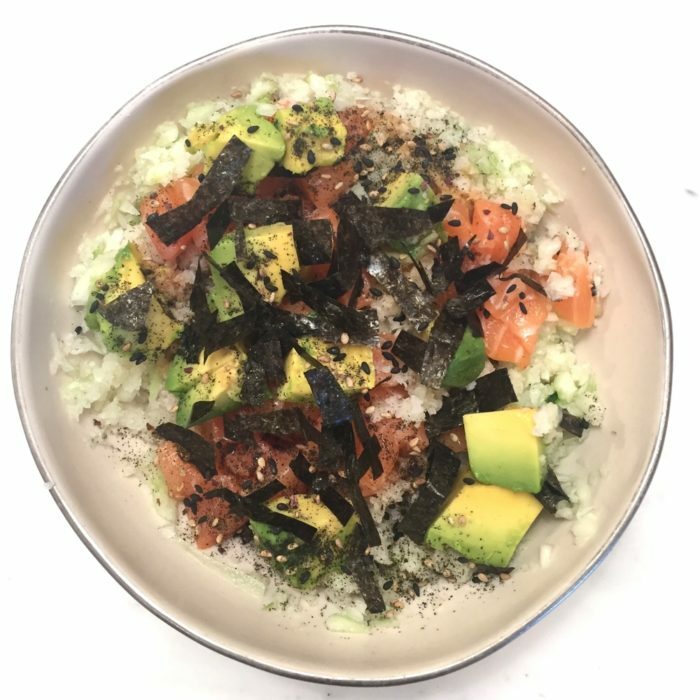 topped with fresh salmon, diced avocado, seaweed and sesame seeds. My kids enjoyed their bowls with regular sushi rice, right alongside me. Yum & Happiness! We made this tonight to rave reviews from all! Perfect summer meal! Thanks, V! Tried this the other day and it was amazing! A classic reinvented with great taste.